Back in May we told you about a challenge we issued to our brewers – make a beer for the pub that is a far cry from any beer style we currently produce. Our pub brewer Dave Gonzalez was the first to answer the bell, brewing a Schwarzbier that is roasty and malty and delicious . . . and almost gone. 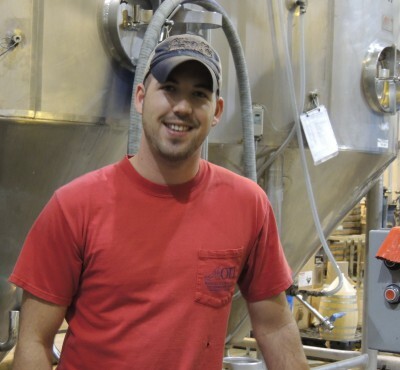 Enter Drew Yeager, who came to us from Dogfish Head a little over a year ago – in part because he knew he’d get the chance to do something like this. 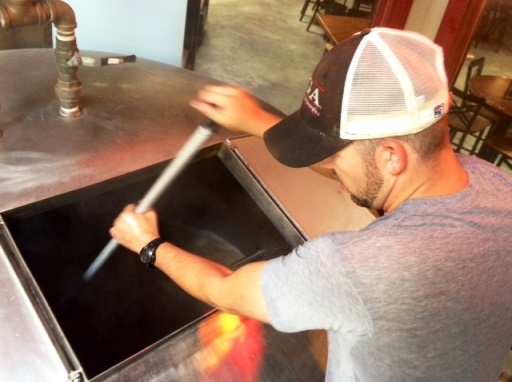 Your chance to try Drew’s beer starts this Friday, July 25, as we will tap the Mango Berliner Weisse he’s had brewing the last couple of weeks. 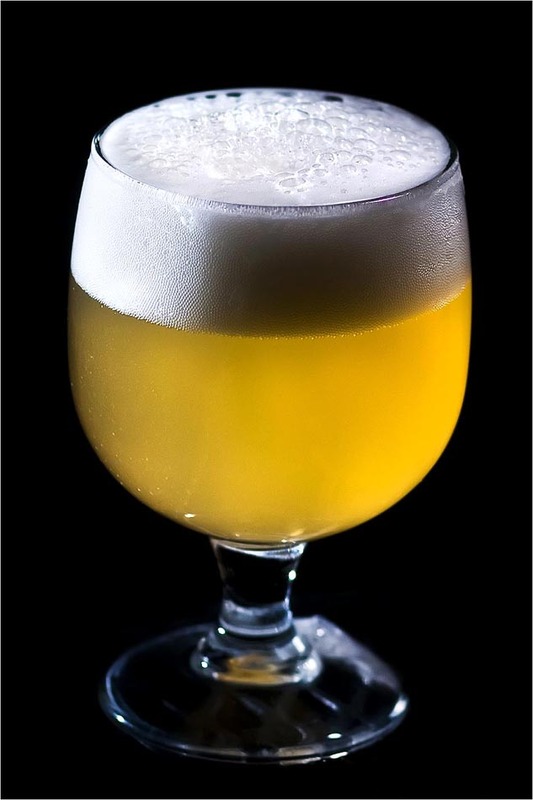 Berliner Weisse is an unfiltered sour wheat style of beer with roots dating back to 16th century Germany. At one point in the 1800’s it was the single most popular alcoholic drink in all of Berlin, with 700 different beer makers producing a version of it. Today only a few German breweries make it – which was part of the appeal for Drew. That tartness is not easy to come by from a brewing standpoint. It requires the introduction of lactic acid, which, as any beer maker worth his rubber boots will tell you, can mean microbial Armageddon for a brewery if it gets loose. Another challenge was the fruit addition. Berliner Weisse is traditionally served with a side of flavored syrup – hence the subtle introduction of mango to Drew’s beer, as much for aroma as for flavor. NOTE: Drew will be hosting a “Meet The Brewer event Friday at 7pm at th epub to talk abotu his beer, and answer your homebrew questions. Be there!